31 Ton Articulated Hauler Rental – Volvo – A30F, is available for rent in Rochester NY, Ithaca NY and the entire Western New York region from the Duke Company. The rental Volvo A30F articulated hauler, available for rent, is a powerful earthmoving machine for hauling off-road and in all terrain. 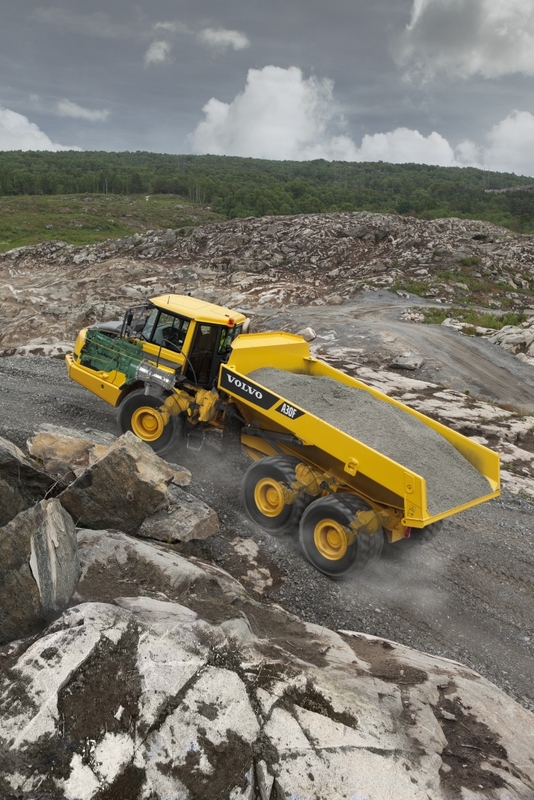 Features include self-compensating articulated steering, differential locks and automatic traction control. The engine is a powerful, V-ACT diesel engine with a high pressure fuel injection system enabling high torque at low RPMs.